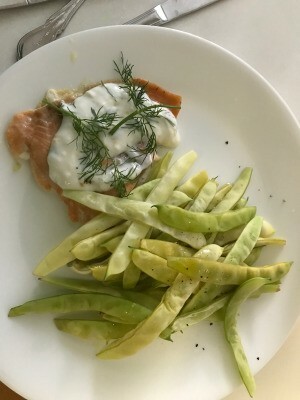 A delicious compliment to salmon is a creamy dill sauce. 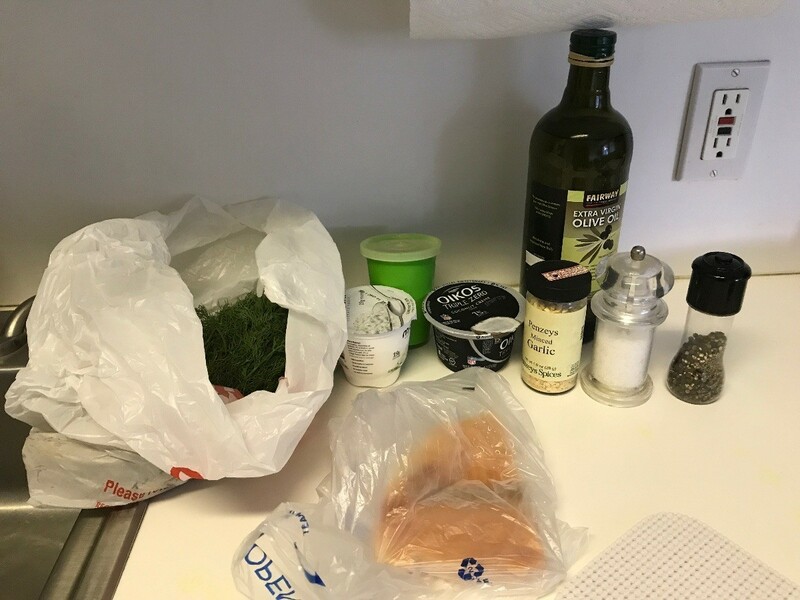 This is a guide about baked salmon with dill sauce. A restaurant quality meal that is easy and fast. A must-make when salmon goes on sale! I only cooked for myself tonight, so I divided the ingredient by 4. Preheat oven to 400 degrees F, and lightly spray baking sheet with non-stick spray. 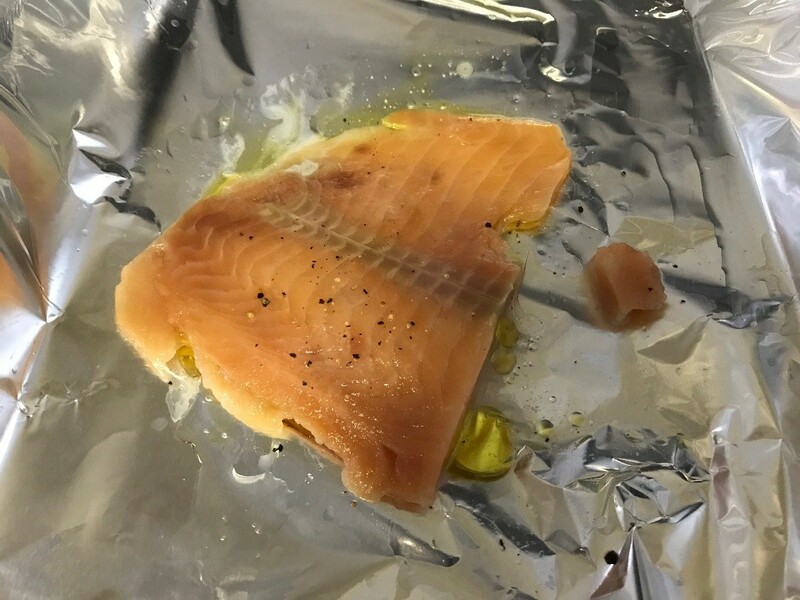 Place salmon fillets on baking sheet and season both sides with salt and pepper. Drizzle both sides with olive oil and 1 T of lemon juice. Bake for 13-16 minutes, or until done. 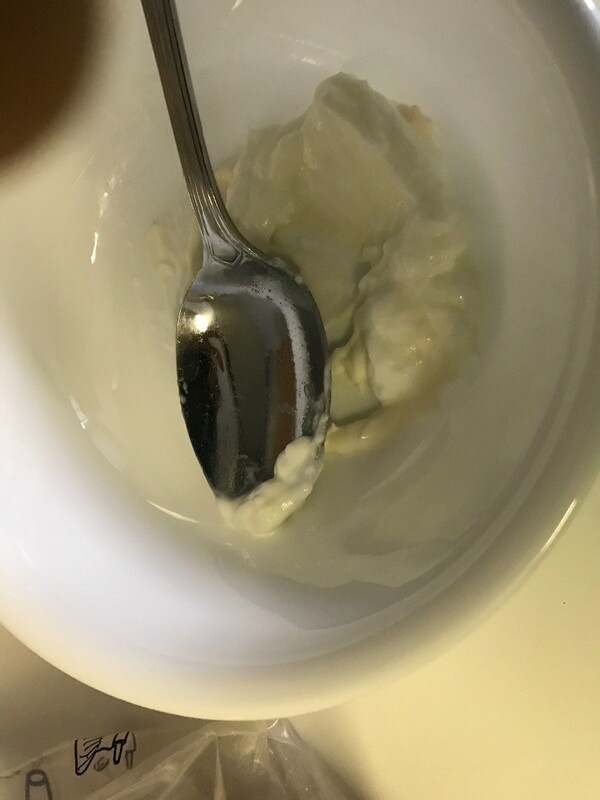 In a medium bowl, combine yogurt, mayonnaise and sour cream and mix together. Add dill, garlic, lemon zest and remaining lemon juice. Taste and add salt and pepper, if necessary. 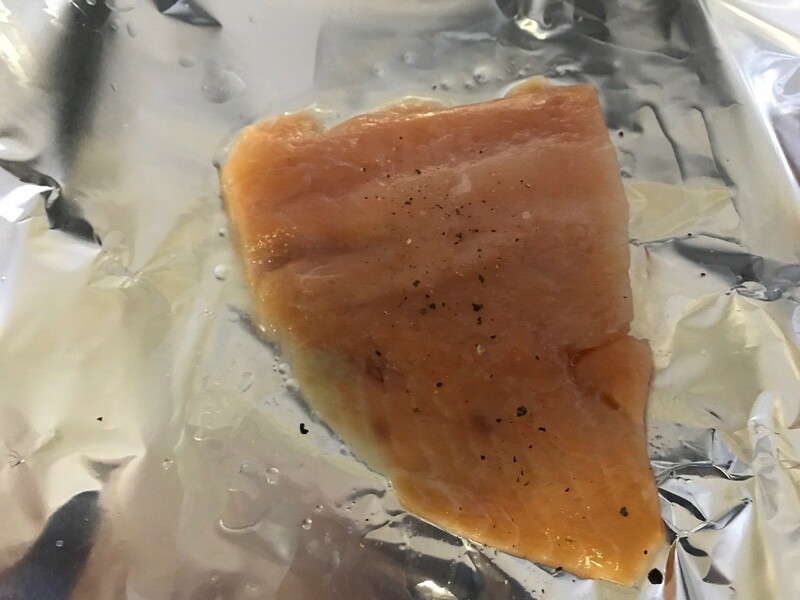 Remove salmon from oven and let rest 5 minutes. Transfer to plates and serve, topped with dill sauce and fresh dill. Yummy! I think I will make this for my parents!